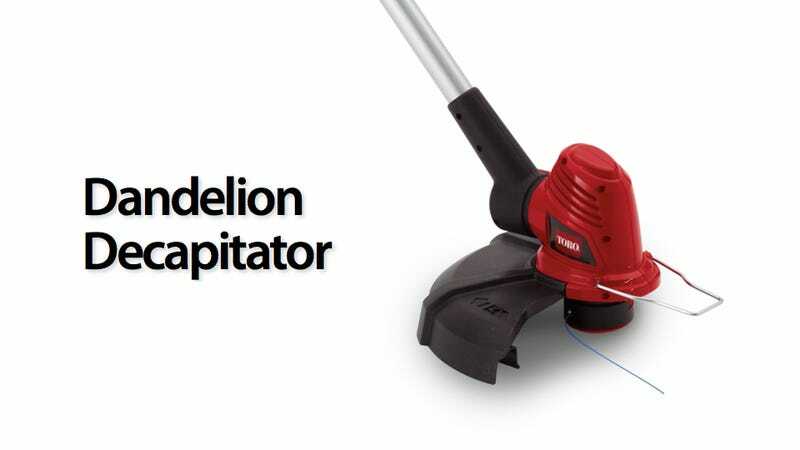 One day last spring, out whacking weeds with Popular Mechanics' veteran home editor Roy Berendsohn, it became clear that a gas-powered string trimmer has more stamina than any reasonable man has weeds to whack. The product category seems prime for battery power. But the models on the market, like Black & Decker's 36-volt, haven't found the right balance of power, weight, and runtime. That's about to change, though. A new product is striking fear in the phloem of weeds nationwide. This spring, Toro, the Ducati of lawnmower makers, will roll out a 20-volt cordless trimmer for $150, and a 24-volt one for $170. Go for the big fella. The key to measuring battery life is not voltage alone, but watt-hours, the product of voltage times amp-hours. This 24-volt battery runs for 88.8 watt-hours. That B&D tool, at 46.8 watt-hours, has the electrical equivalent of a smaller fuel tank. The Toro solves several problems one encounters when slaving over a hot string trimmer. The trimmer head automatically spools out more line. A telescoping 14-inch shaft adjusts for the ideal grip on the tool's 7-pound, 4-ounce weight. An indicator displays battery life, and a power-saving sensor can calculate the trimmer line's optimal length to maximize runtime. For the serious fescue perfectionists, who turn a string trimmer sideways to touch up a ragged edge where the lawn and driveway converge, a pivoting head rotates to let the Toro act as an edger. A guide wheel rolls along the concrete to keep a straight line. The OCD edging technique used to involve flipping a plastic gas tank on its side. Leaks were a fact of life. But this trimmer spares gardening britches from the shameful stains of fuel drool. Toro claims a dead 24-volt battery can fully recharge in 150 minutes, and it'll keep swatting 'til your stray stalks are shaved down at the mailbox, flagpole, birdbath, and the chain link fence around the dog pen. Image and video courtesy Toro.